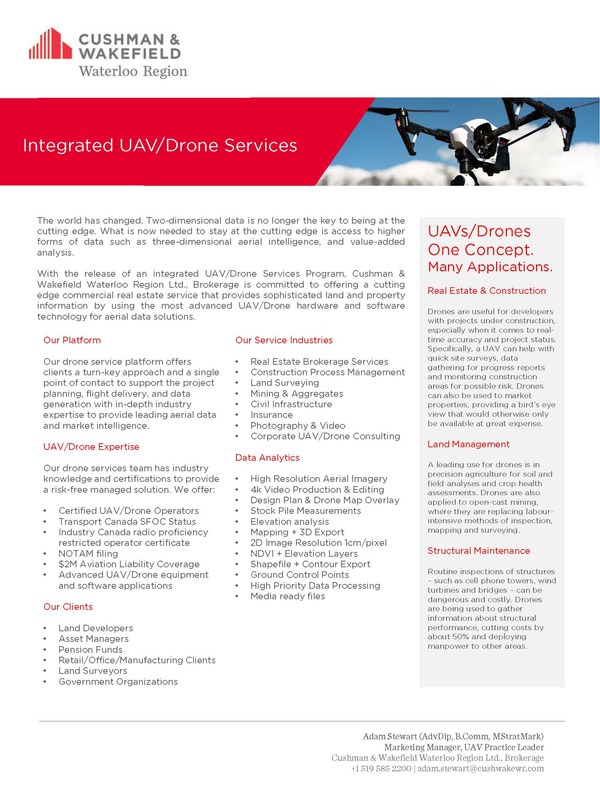 Cushman & Wakefield Waterloo Region's Integrated UAV/Drone Services is a leading drone service platform providing a turnkey toolkit solutions to acquire, process, and deliver aerial property information for land and commercial real estate marketing to enterprise customers. 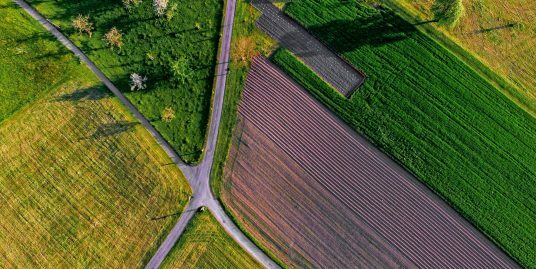 Cushman & Wakefield Waterloo Region Ltd. is the first commercial real estate brokerage to launch an integrated UAV/Drone service platform in Canada. 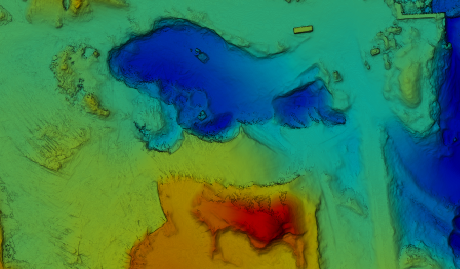 By offering our clients a cutting edge commercial real estate service with the most advanced UAV/Drone hardware and software technology solutions, we are able to apply leading marketing technique that showcase our clients commercial listings in a unique and powerful way. Using our software and newest drone technology, we capture Ultra HD images and video and convert imagery into realistic 3D models that allow clients to observe property and surroundings from a detailed aerial perspective. 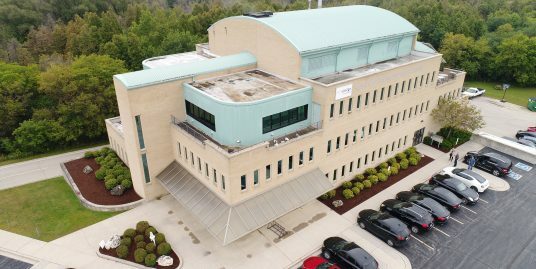 Multiple vantage points provide an extremely precise look to perform detailed building aerial inspections giving our clients the confidence that their infrastructure project is being completed as scheduled with Ultra HD digital records of construction.